It’s easy to see why Hug-a-Bub® is the leading wrap carrier in Australia. Fitting a Hug-a-Bub® carrier is like tying a shoelace. With a little practice, it becomes second nature. To help you get familiar with using your Hug-a-Bub®, we offer several resources, from written instructions to online videos. 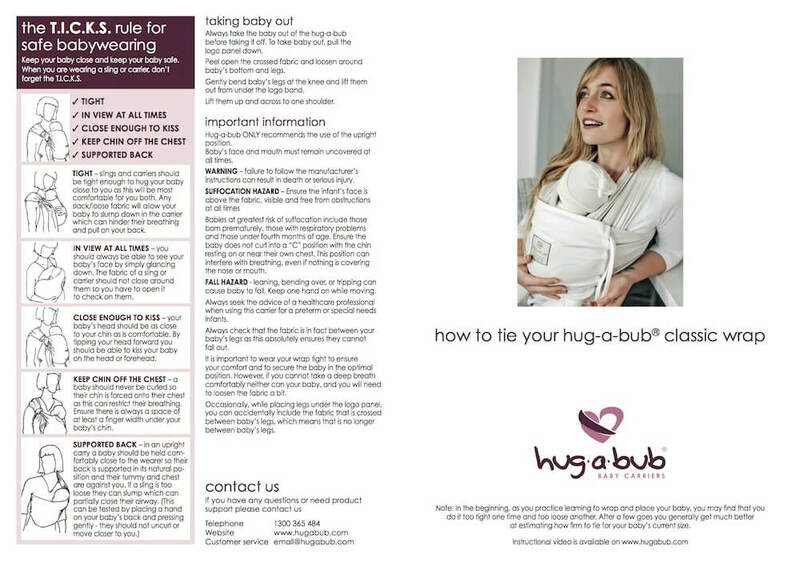 Every Hug-a-Bub® comes with an easy-to-follow instructions which gives you step by step instructions on how to tie the carrier as well as demonstrating the many carrying positions and adjustments used for summer and winter wearing. 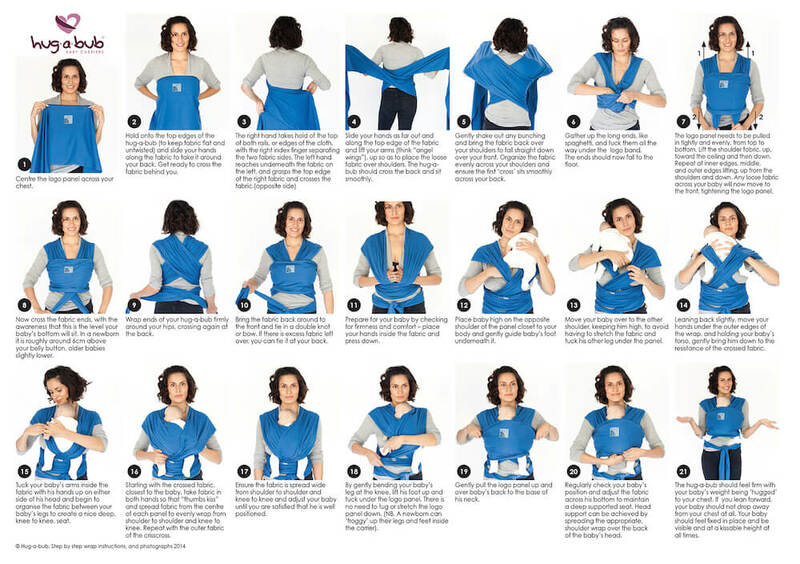 These are several instructional videos on You Tube that we recommend viewing to assist with your Hug a Bub sling or wrap wearing. If you have any further questions please contact us via our contact page.